The first of many projects birthed from Cadence Collective poets, Sarah Thursday and Nancy Lynée Woo, joint collaboration. 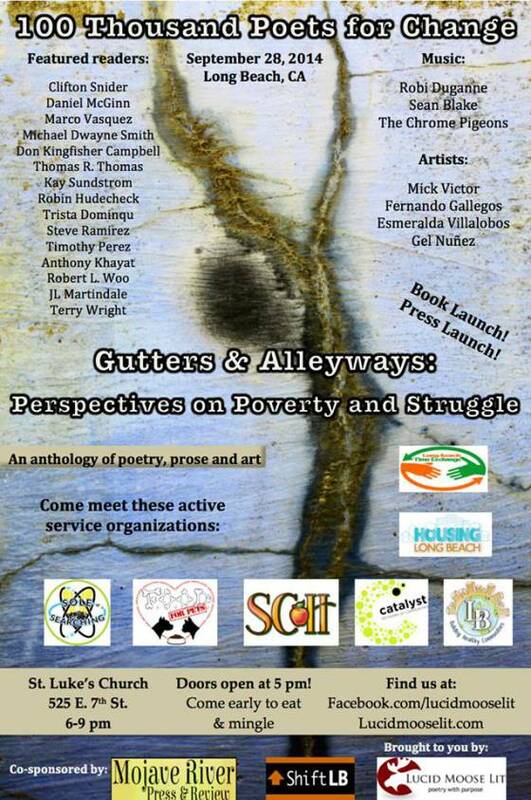 I am extremely excited about releasing this beautiful anthology, Gutters & Alleyways: Perspectives on Poverty and Struggle, with Nancy Lynée Woo through out joint social justice project, Lucid Moose Lit. If you live in the area, come out to our event on Sunday, September 28th! RSVP on Facebook for more details.